Formulated with natural emollients, Evening Primrose Extract and Vitamin E, it provides a long-lasting hydration that beautifully plumps and promotes younger lips. Lips are soften and plumped. A luxurious staple in your vanity. The brand was founded in 2016 and launched in 2017. These made in the U.S.A Cashmere-On Lip pots, encased in this beautiful vintage glass jars, incorporates the simple and effective recipe from the founder's grandmother, and infused this with her exclusive fragrance blends, beautiful colors and the city's glamour. These are formulated without petrolatum, parabens, sulfates, pthalates, GMO's and Triclosan. It comes with the benefits of healing and softening chapped lips; has a subtle plumping effect; reduces lip lines; improves circulation in the skin; it's anti-aging and protects lips from sun drying affects. 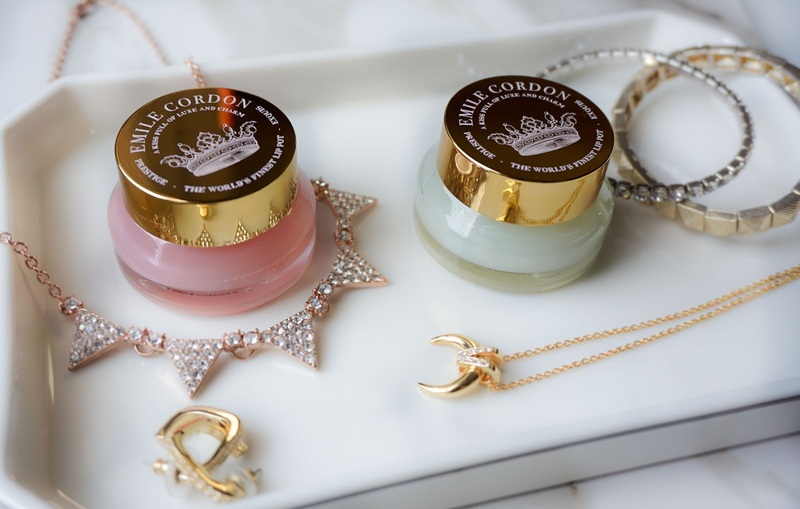 These lip pots have a look of a lip gloss on the lips but has the feel of a lip balm. The Cashmere-On Lip Pot in N˚72 COCO | $42.00 has notes of white coconut cake, vanilla accord and powder sugar. Every time I open this jar, it smells like a sweet coconut cake. NOT coconut oil but a subtle vanilla-coconut mix type of scent. This is a clear lip balm with subtle silver shimmers in it that you can't really tell once applied on the lips. 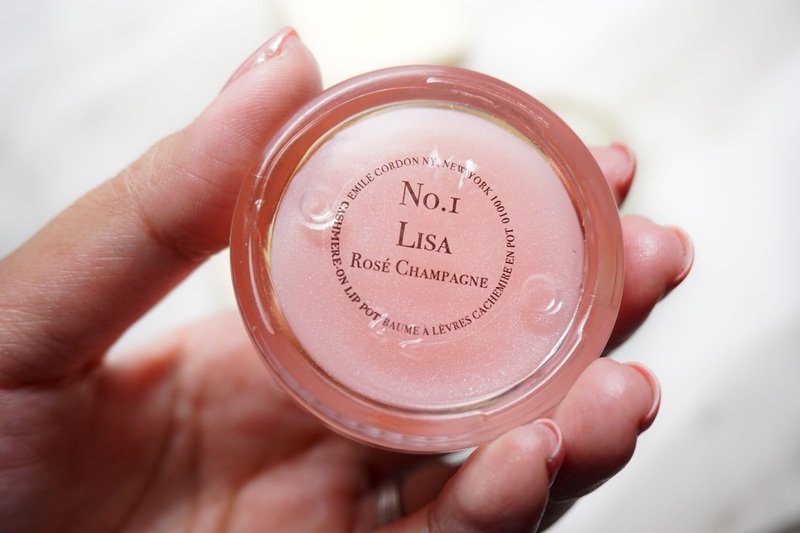 N˚1 LISA | $42.00 has notes of rosé champagne, fresh tea rose and strawberry leaves. This has a less sweeter smell than COCO and has more of a subtle fruity scent to it. This also has a glossy finish and leaves a sheer pink tint on the lips. 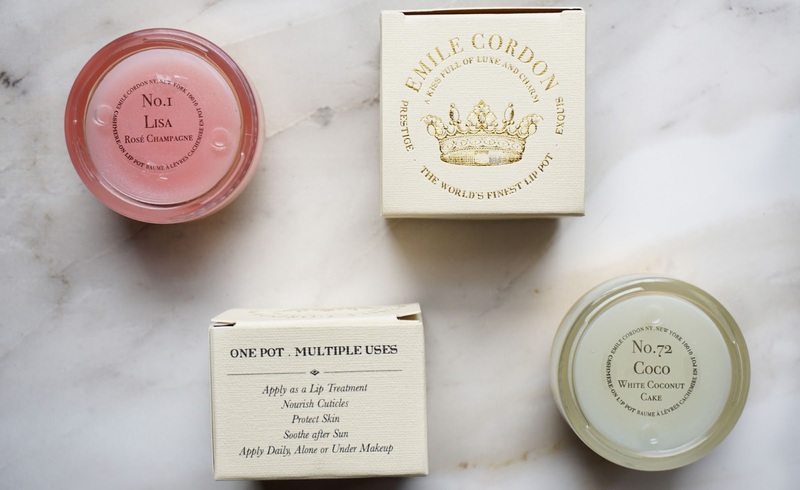 They do have three more other lip pots, which you can check out on their website: https://www.emilecordon.com/products/. The lip pots comes with a small plastic spatula as well if you don't want to use your fingers. This is definitely on the high-end side of beauty products. They're not packaged in some cheap plastic jar, it's in a beautiful vintage glass jar. It's not travel-friendly hence mine are permanent residents of my desk, and the other is on my nightstand. I use mine through out the day and also at night before I go to bed, and my lips the next day are so soft and plumped. I'm not sure when I will finish this jar but I've had this for almost a month now and it's still a pretty full jar. You don't need much when you apply this on your lips and whatever is left on my finger I rub this onto my cuticles. 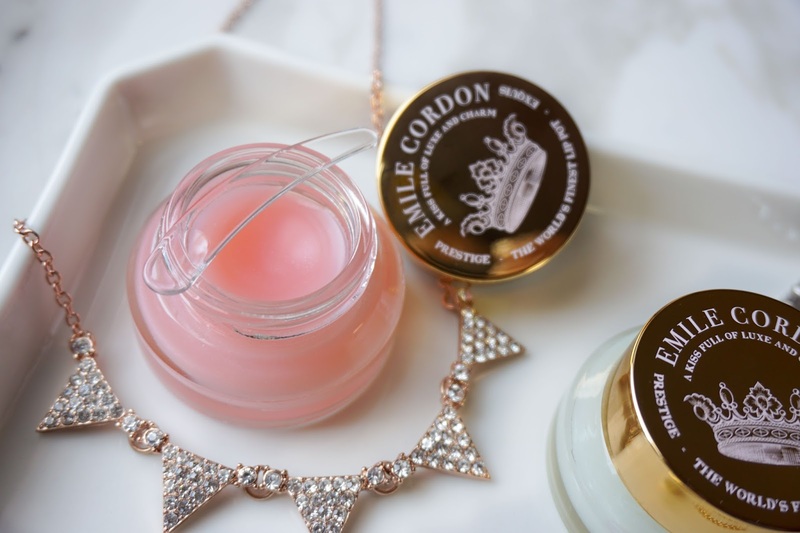 I'll be happy to just have these lip pots as my one beauty product for the rest of my life. So, what's your one beauty product you'd keep for the rest of your life? And, would you treat yourself with one of these or gift it?